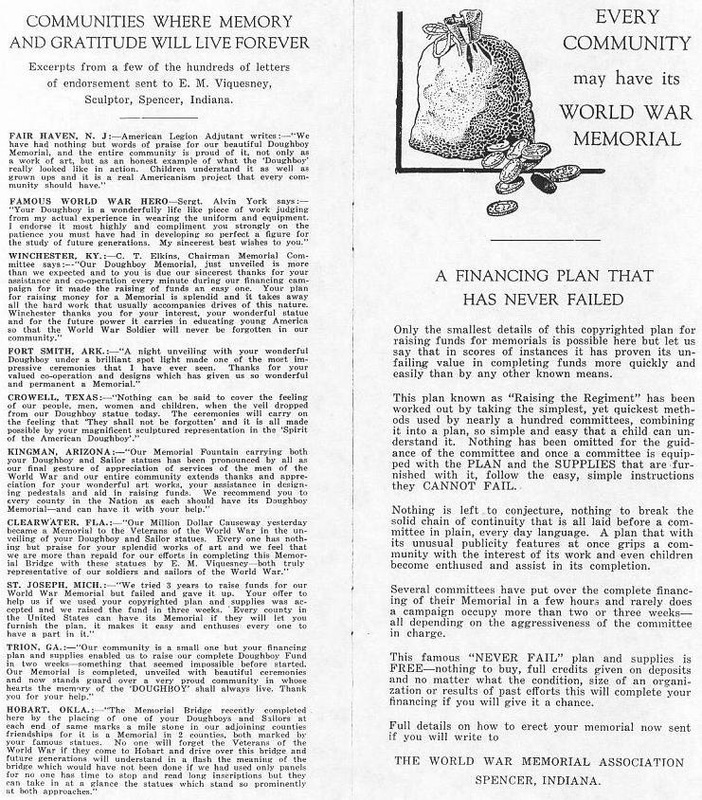 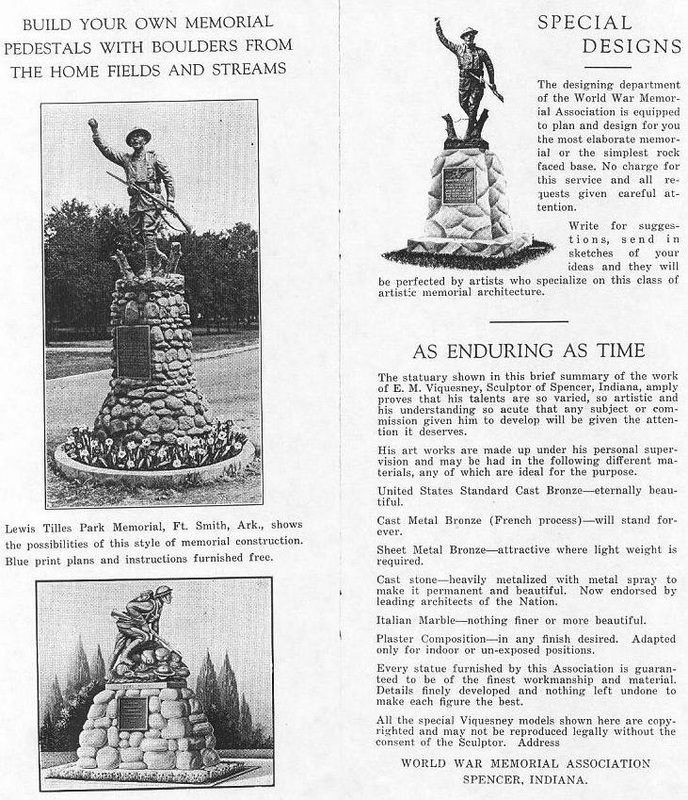 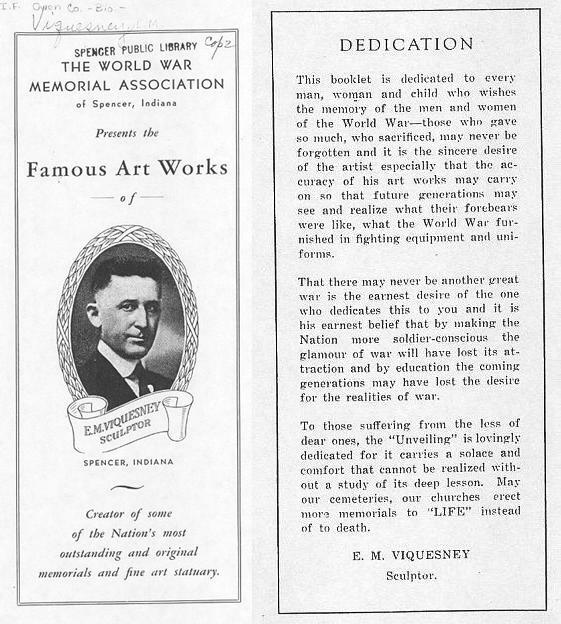 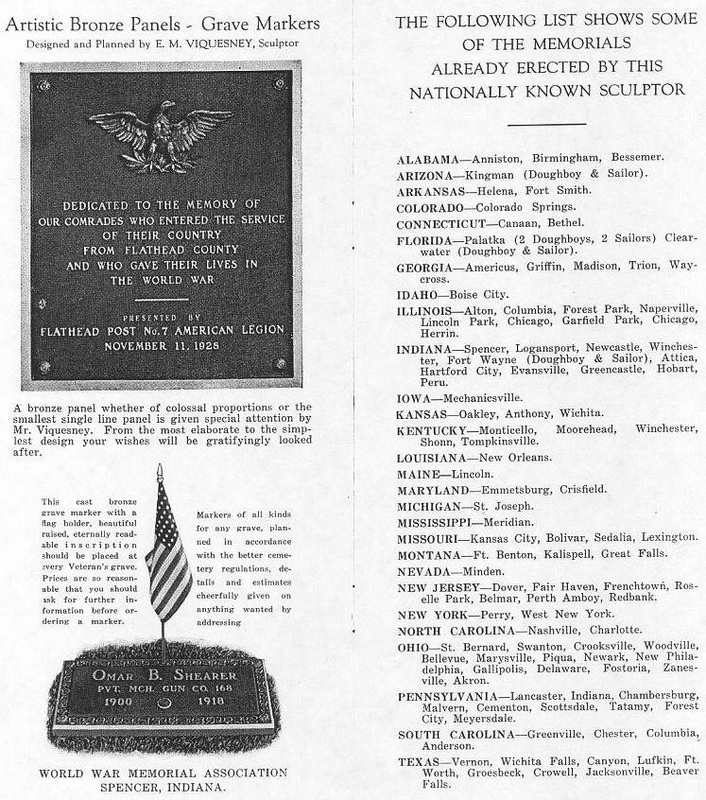 Viquesney had many firm names, among them, The World War Memorial Association, which he founded in Spencer, Indiana. 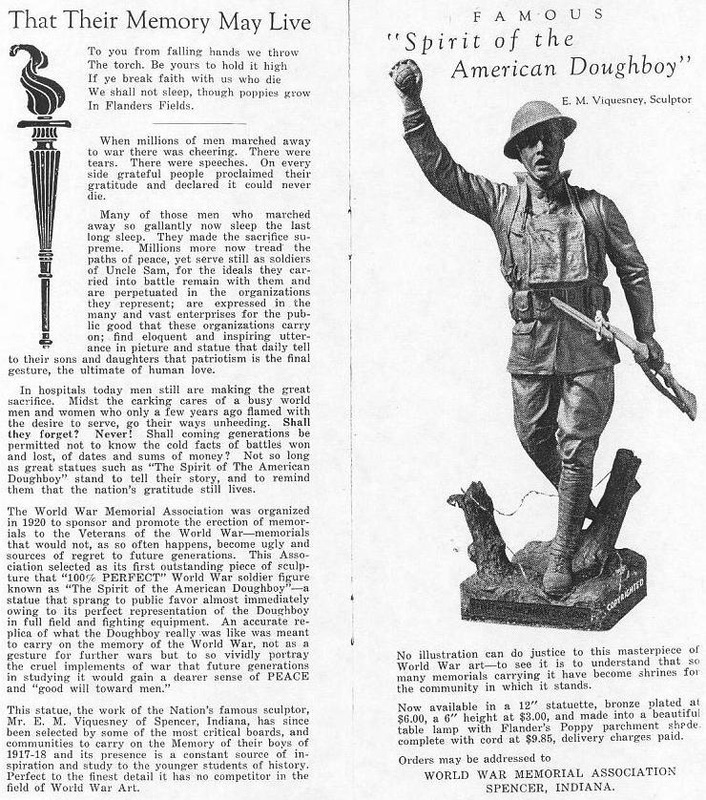 It was mainly a vehicle to showcase and promote some of his creations. 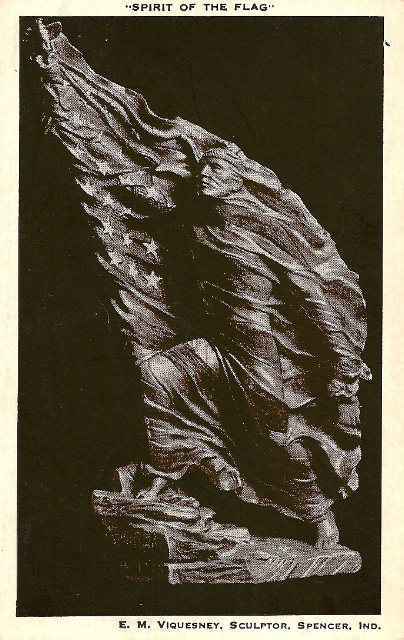 This version of the folder is from approximately 1935. 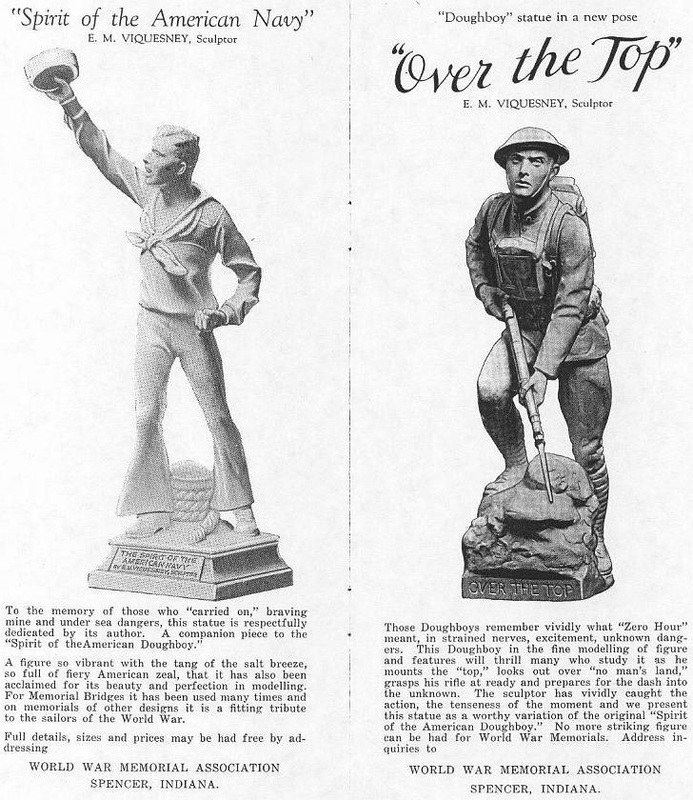 Viquesney relied heavily on printed advertising media to showcase his products: Magazines, handbills, postcards, catalogs, single item sales brochures, and newspapers. 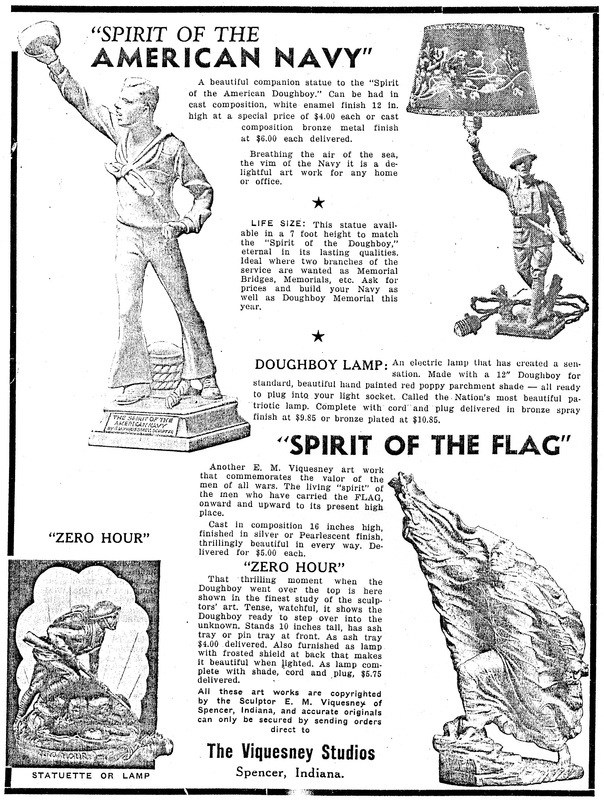 At right is a handbill featuring four of his creations, probably from the mid- or late 1930s. 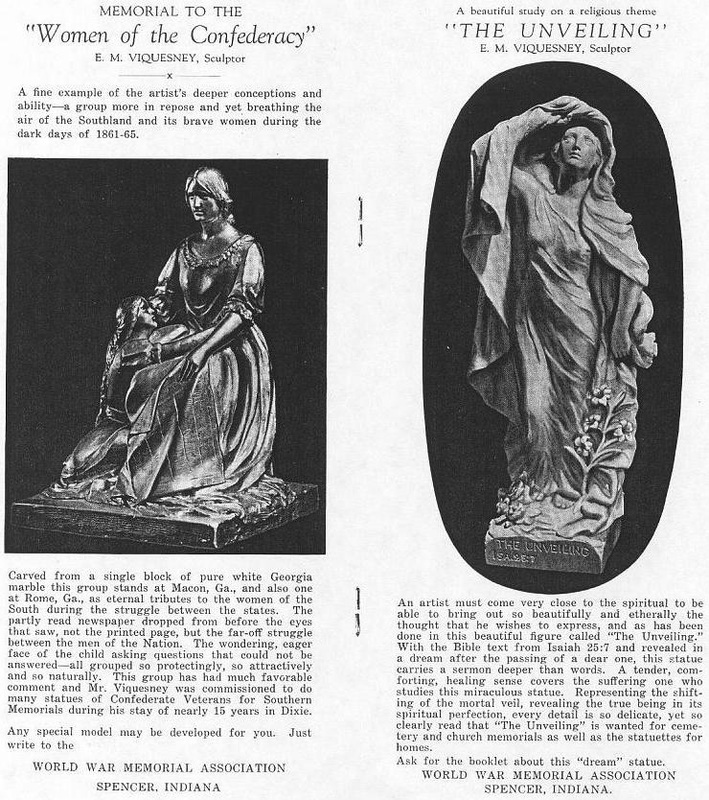 Besides brochures, Viquesney also issued postcards bearing images of his works. 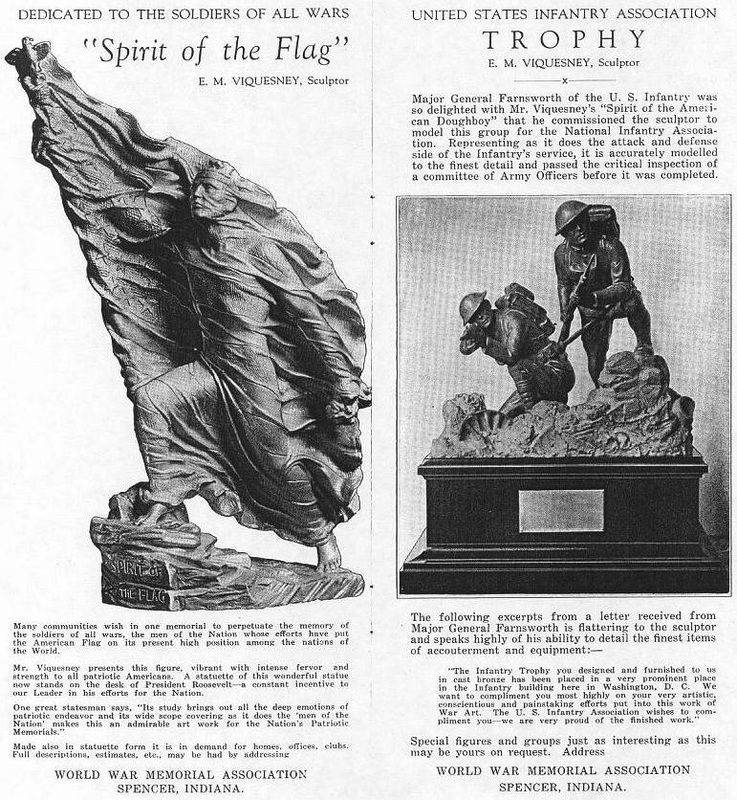 The one at left shows his "Spirit of the Flag", a piece he was particularly proud of, having sent one to President Franklin D. Roosevelt for his birthday, where it was received with "much thanks".